The duration of your workout session is not as nearly as important as the physical and mental benefits that you gain from exercising. We all area aware of how much we benefit mentally and physically from a great workout, regardless of the length. However, we may not always have the time or motivation to get to the gym, or any other physical activity, or if we do, it would be short. Is that short workout work it? Let’s find out. According to international health professionals, longer training may not be necessarily better. There is benefit to short training sessions throughout the day. This don’t mean a “5 minute power workout” but a 25-35 minute session, 3 times a day. This can be something as simple as a walk, stretching or yoga, or an ab/core workout or isolation weight training. That is quite the list of benefits for shorter training sessions! The down side, in our busy daily lives, not all of us have several free 30 minute sessions to train. That being said, there are opportunities out there: walking/biking to work; after dinner walks; morning yoga classes; etc. 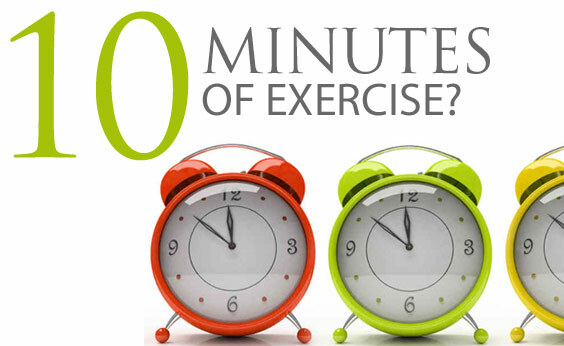 Also, and a lot of gyms do offer morning, afternoon and evening classes starting from 30 minutes. Instead of spending your lunch break at a restaurant, find a yoga class. You’ll see how much more energy you will have in the afternoon, as well as how much easier it is to work while relaxed.